This morning, you were waking up to the news that there had been an attack on a French church, killing a priest. 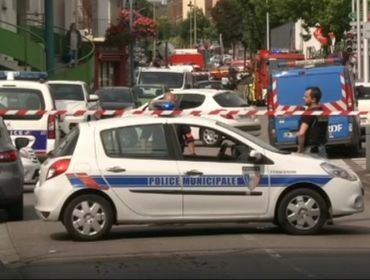 Details are emerging that one person has been killed and another has been injured during a hostage situation in a church in Saint-Etienne-du-Rouvray, France. Around 10am this morning news broke that armed men took hostages at a Normandy Church in Northern France. -Two knifemen were shot dead by police following the attack. -A priest, two nuns and worshippers were among the five hostages taken. -The French President, Francois Hollande, is on route to the scene. -French Terror Unit have taken over the investigation into the Church Siege. The community in which the attack took place has paid tribute to the priest that was killed, adding that he was “…treasured by the community.” The Vatican called the attack in an already “scared place” as “barbarous”. A woman caught up in the attack is said to be fighting for her life in hospital. This attack comes the morning after the night before, where 19 people were killed in an attack on a disabled centre in Japan. 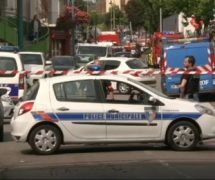 France is a country which has extended its state of emergency following several attacks recently, and Germany is now finding itself as a country reeling from deadly attacks. Over the past month the news has been dominated by horrific attacks that have shocked the world. Our thoughts are with all of the victims and their families at this awful time.